A recent addition to my Apple podcast list, MacBites fills a niche I didn’t know I had. Yes, if you’re looking for a couple of real personalities to give you a somewhat British flavour to the world of Apple news and issues, you can’t go past MacBites! 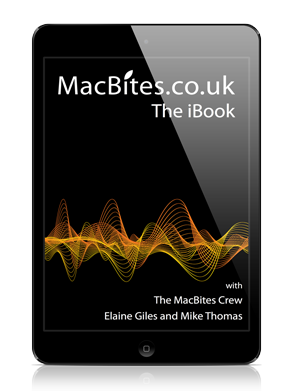 Elaine and Mike give their views in their own ways including the patented “and then… and then…” shaggy dog stories of tech failure, tech success and unrestrained AppleCare.